University of Texas Rio Grande Valley guard Nick Dixon (4) drives to the basket against Bethune-Cookman's Jeffery Altidort (21) in a non conference game at University of Texas Rio Grande Valley on Monday, November 13, 2017, in Edinburg. 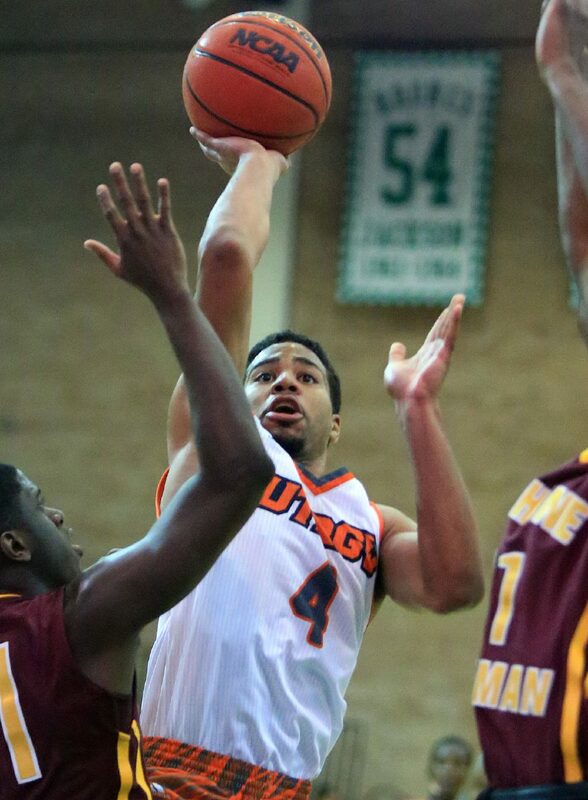 EDINBURG — UTRGV senior Nick Dixon has never paid much attention to statistics. He put up gaudy numbers for the Vaqueros last season, ranking in the top 10 in the WAC in eight statistical categories, but he is wary to not to let a focus on his totals impact his play. This season, Dixon would be hard-pressed to avoid hearing discussion of his scoring totals. 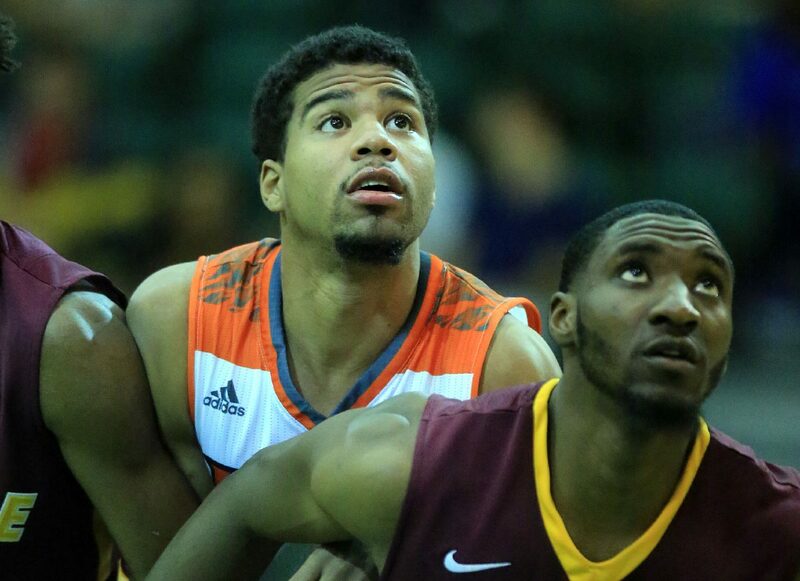 Through 10 games, Dixon leads UTRGV with 21.2 points per game — a total that leads the WAC and ranks 35th in the NCAA. Only five players in Division I basketball matched Dixon’s total of 212 points through Dec. 4. University of Texas Rio Grande Valley Guard Nick Dixon (4) fights for position under the basket against Bethune-Cookman in a non conference game at University of Texas Rio Grande Valley on Monday, November 13, 2017, in Edinburg. University of Texas Rio Grande Valley guard Nick Dixon (4) drives to the basket against Bethune-Cookman in a non conference game at University of Texas Rio Grande Valley on Monday, November 13, 2017, in Edinburg. His highest scoring output was 39 points in an 82-75 overtime win against Texas A&M-Corpus Christi on Nov. 15, and the Vaqueros (4-6) will have another crack at the Islanders (2-5) at 7 p.m. Wednesday in the UTRGV Fieldhouse. Dixon showed the potential to carry a heavy scoring load last year, leading UTRGV and ranking second in the WAC with 18.8 points per game. But the 2016-17 Vaqueros team also had Antonio Green, who checked in not far behind Dixon with 16.7 points per game. With Green transferring to Middle Tennessee during the offseason, Dixon has become UTRGV’s only consistent source of offense. 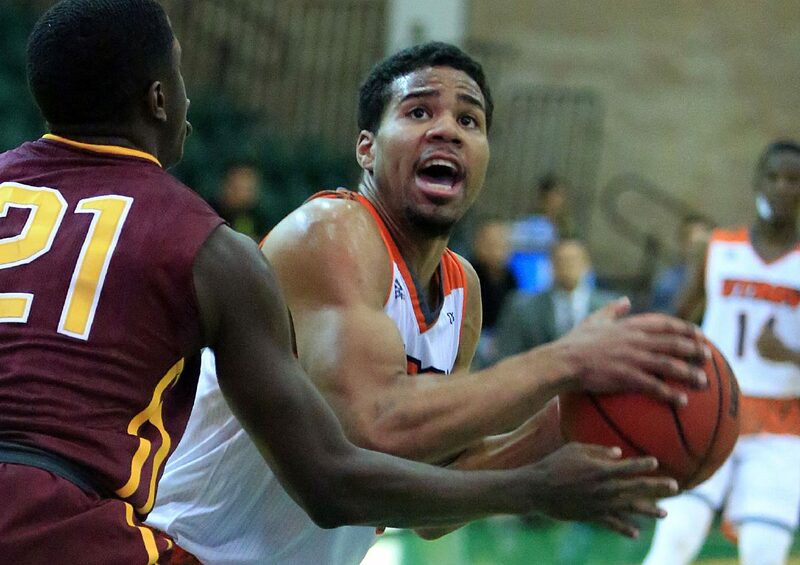 The Vaqueros’ next leading scorer, Xavier McDaniel Jr., averages 11.6 points per game, and the next highest mark after McDaniel is 8.0. Dixon is a quiet player by nature, Hill said, but he has grown more comfortable delivering important messages to his teammates and leading in his own style. Dixon said he has developed his game between the lines, as well, improving the consistency of his jump shot compared to last year to help UTRGV replace Green’s 111 made 3-pointers. Last season, Dixon connected on 28 3-pointers in 32 games, shooting at a 32.6-percent clip. So far this season, Dixon has made 16 3-pointers in just 10 games, connecting on 37.2 percent of his shots from beyond the arc. Typically a player who attacks the basket first and foremost, Dixon employed a variety of mid- and long-range jumpers to score 19 points during Saturday’s win against Rice, which tried to take away the paint with a packed-in zone. Still, Dixon said going to the rim “is always going to be my No. 1 option.” As a result, he’s done a lot of his damage at the free-throw line, connecting on 66 of 77 attempts (85.7 percent) this year. Dixon hit 76.5 percent from the line last season, and Hill said UTRGV’s coaches worked with Dixon to add a dribble before his free-throw motion, which has allowed him to slow down and find a better rhythm. Dixon ranks 27th in the nation by drawing 8.0 fouls per 40 minutes, according to KenPom.com, and that figure was into double digits before dipping in matchups against powerhouses SMU and Texas A&M. “It’s just being aggressive,” Dixon said. “I don’t try to play for the whistle. Every time I go to the rim, I just try to make the layup. Hill said Dixon draws as many fouls as he does because of his unorthodox approach on offense. Dixon generates contact by slithering through the paint, and he has the strength to finish layups through that contact, Hill said. Texas A&M-Corpus Christi sends opponents to the free-throw line at the highest rate of any team in the nation, and Dixon shot 23 free throws during their first meeting. Improved jump shooter or otherwise, Hill wants Dixon to continue to lean on his biggest strength.